At the eve of the olive harvest in October, I was invited by Francesco Gradassi to visit the family’s mill in Umbria and taste a very limited pressing of pre-season olives. Marfuga Azienda Agraria is a 200-year-old family company that produces some of the best extra-virgin olive oils in Umbria. In the last few years they have won a string of prestigious prizes attesting to this – though such recognition isn’t new: since 1817 it has carried the papal seal. The unfiltered, grassy-green novello was brought out in an unlabeled bottle. The taste was vivid and particularly spicy, flavorful. But very limited and not on the market. After tasting the oils and having a look at the mill, Francesco’s father, Ettore, took me to see some of Marfuga’s groves. In his dusty 4×4 (with a sheathed shotgun on the backseat; he had been pheasant hunting), we climbed above Campello sul Clitunno in the Spoleto Valley towards Trevi, a picturesque medieval village that clings to a hillside. The trees cover a curving slope facing the village. 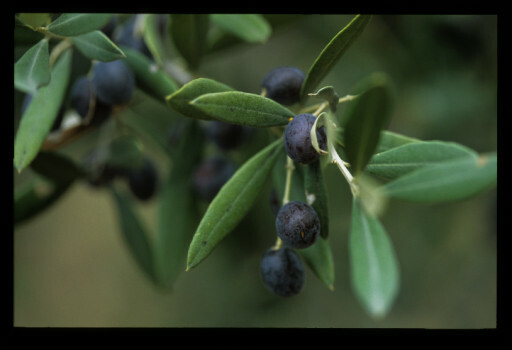 We strolled among gnarled old trees with silvery leaves and plump purplish olives. 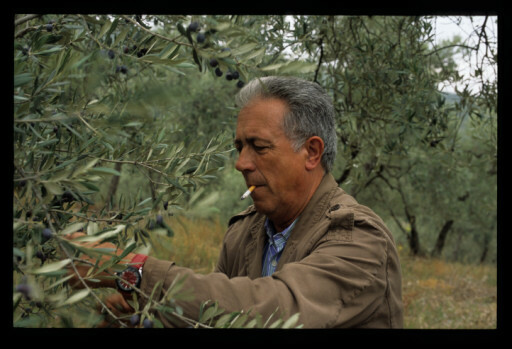 Ettore checked the fruit on various trees with a cigarette rakishly dangling from his lips. The following morning a crew of ten would arrive to begin stripping the trees by hand. Down the valley the mill was ready – the olives are pressed within 12 to 24 hours of harvest. The 2008 season was upon us. I will post a piece I wrote for the literary journal Tin House in 2005 on quince below. 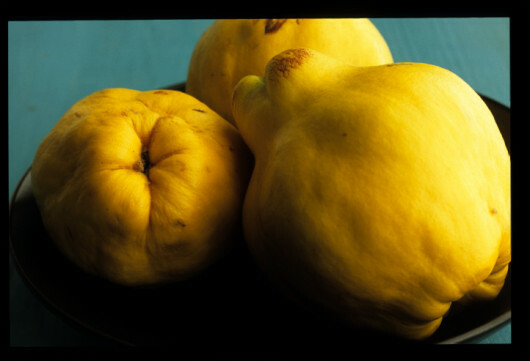 Fill a medium-sized container with cool water to place the peeled quince pieces as the flesh discolors very quickly. Peel the quinces, quarter them, removing and reserving the heart and seeds. Put the pieces of flesh into the container of water. Place the core and seeds in a heavy sauce pan and cover with at least 3 cups of water. Briskly boil, covered, for 45 minutes, or until the red jelly is released from the seeds. Add more water if needed. Strain and reserve the liquid, discarding the cores and seeds. Cut the quince quarters into small pieces and add into the sauce pan. Add the sugar and 2 1/2 cups of the reserved liquid. Cook covered over a very low flame for 1 hour, stirring frequently to avoid burning. Add in more of the reserved water if necessary to avoid drying out or burning. Remove from heat, let cool slightly, and puree. It should be thick and smooth, moist, granular. Splash in some more water if it is dry; conversely, if it is too moist, return the paste to the pan and cook uncovered, stirring constantly, until achieving the desired consistency. Spoon the paste into a small ceramic dish and let set. 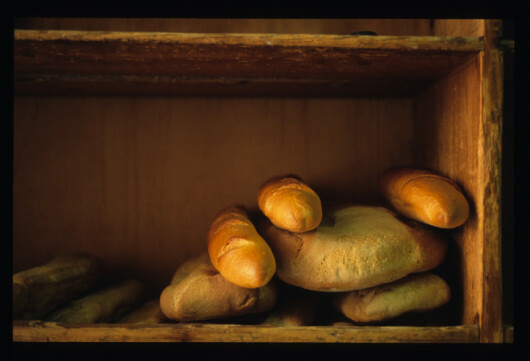 For longer storage, place the preserve in glass jars and sterilize them in a bain-marie for 10 minutes before sealing.